The adage “wisdom comes with age” is pretty accurate. The things you learn throughout your life-experience teach you how to find true happiness, and show you what really matters. There are some people in this world who have managed to exceed the general life expectancy age of 78 (US 2015) and lived past 100 years. So what does one learn about life after spending over a century on this planet? What pieces of wisdom can they bestow upon us that can change our perceptions and values? I’ve gathered some bits advice from some folks who were 100 or older at the time, to share with all of you. I hope you enjoy them as much as I did. What is one piece of advice you wish to pass down on someone in their 20’s? What is the greatest lesson that you have learned? Any advice on making it past 100? What is one experience you would recommend to absolutely everyone that they must do once in their lifetime? Any secrets you can share, health wise, that you think may have helped you achieve living such a long life (diet, exercise, genetics, etc.)? Author Bel Kaufman was 100 when she spoke at Iona College. What are the ingredients for a happy life? Humor and passion. 104 year old Dr Shigeaki Hinohara is the author of Living Long, Living Good, and shared these brilliant pieces of advice on life. Elsa Bailey celebrated her 100th birthday by skiing in Colorado. She told ABC News a couple things she has learned to keep her going. 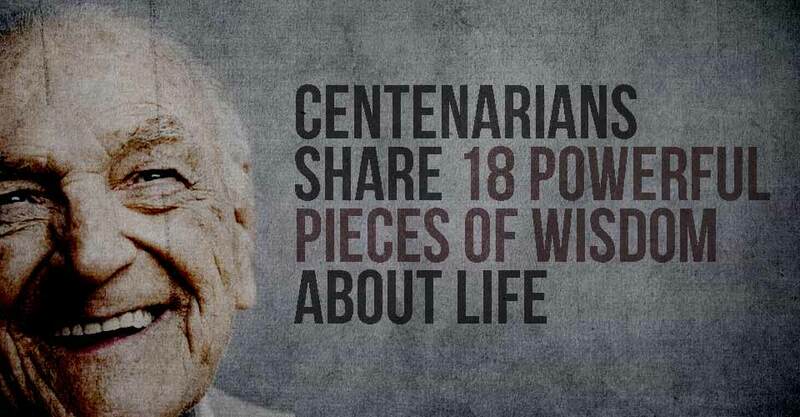 This centenarian shared the following on what she has learned in the past 100 years of her life. With the majority of us measuring our lives in deadlines and due-dates, a few helpful words of wisdom from those who have been around longer may change how we spend our days. Remember the basics- it’s not rocket science. Laugh, love, relax… it’s only temporary.